It’s certainly been an eventful year. Ransomware attacks grabbed national headlines, Meaningful Use began its retirement tour, and a new president was elected. Topping it all off was the passing of the 21st Century Cures Act, a move that will have significant ramifications for health IT. But in an industry where mergers and acquisitions have become the norm, it should come as no surprise that some of the top blogs from 2016 focused on career advancement, leadership strategies, and communication. In fact, it was a piece on handling job offers and negotiations that drew the most reads. Other areas of great interest included the shift to value-based care, the growing importance of the CHIO and CMIO roles, and of course, the usual suspects: cybersecurity and interoperability. Below are the top 20 most viewed blog posts from the past year. 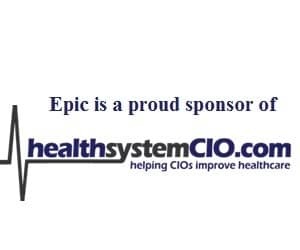 A sincere thank you to all of those who have contributed to our site and helped us to achieve our goal of keeping CIOs and other leaders educated. We look forward to reading more insightful perspectives in 2017!